President of Belarus Alexander Lukashenko demanded that the government must not bow to Russia. The President made the statement at a government meeting held on May 29 to discuss current issues relating to the country’s social and economic development. The head of state remarked: “I would like to personally warn you, Sergei Sergeyevich Sidorsky, and you, Piotr Petrovich Prokopovich. One of you comes up and tells me how bad it is in Russia, that there are no improvements there, and makes me pose questions before the President of Russia and before Vladimir Putin, stating that Russia doesn’t listen to us. From now on this time is over”. “If things don’t work out in Russia, bowing, nagging and weeping is useless. We should seek our happiness in another part of the planet. I consciously state it in public. Yesterday we witnessed an interesting situation. The President of Belarus and Vladimir Putin were discussing things from private to state ones in an absolutely friendly manner. The discussion went well. Meanwhile Aleksei Kudrin [Deputy Chairman of the Government, Finance Minister of Russia – BelTA] held a press conference before the session of the Union Council of Ministers in order to sow panic in Belarus. He is fully consolidated with our wackos, who, fuelled by Western money, yap and instruct us on how we should work,” said Alexander Lukashenko. “If their economy is that good, where did the 10% GDP decline come from? Our economy is different, but our GDP growth stands at 1.5%. Sergei Sergeyevich, enough leading ministers into beaten tracks! We should go to other places, where we are needed and should trade — a dozen of tractors, one combine harvester, a spoonful of sugar if we have to”. The President informed about the deal to sell 40,000 tonnes of sugar to Kazakhstan, with the relevant papers signed. “What is your problem? Why do you go to Russia where you are kicked? Don’t you understand that it is not the first time when they want to get us for free? Yesterday Vladimir Putin said that he had discussed the situation with Kudrin while flying to Minsk. And after that Kudrin broke out his rant. Wasn’t it arranged? It was, totally,” emphasised Alexander Lukashenko. 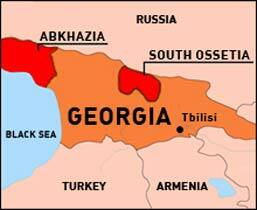 Ossetia and Abkhazia are not that the issue. “The bottom line is the recognition of South Ossetia and Abkhazia is the question between us and these countries, with which we have excellent contacts and they know our tactics,” remarked Alexander Lukashenko. The President underlined that he answered the question long ago and “nobody will pressure us about it from the East and the West”. “We are an independent sovereign country and we will do everything in our interest,” said the President of Belarus. “Therefore, you must remember: no praying or begging. If they don’t have the $500 million that they promised a long time ago and that we included in our budget, don’t go and beg,” remarked Alexander Lukashenko. “Let’s build our economy and policy as a sovereign independent state. We have many levers to influence the situation, those challenges that we faces, including in Russia. Let’s use them. When will we start thinking as civil servants of an independent sovereign state?” the President wondered. The President of Belarus underlined: “This is a big game. Keep it mind. If we make it, the state will survive. If we don’t, we will be crushed and pocketed. Our sorrow is nothing. But we lead 10 million talented and hard-working people, who we mustn’t expose or deceive”. Belarus and Russia need to find ways to reach an upturn in the trade and economic cooperation. This statement was made during a meeting between President of Belarus Alexander Lukashenko and Russian Premier Vladimir Putin on May 28. The Russian head of government has arrived in Minsk to take part in the session of the Union State Council of Ministers, BelTA learnt from the presidential press service. The agenda of the session features 22 items and, according to Alexander Lukashenko, the participants of the meeting have a lot to do. The Belarusian leader believes that the visit of Vladimir Putin to Minsk can give an impetus to the Union State construction. “I will be glad if this session and the work of the current Union State Council of Ministers will help make a step forward,” he said. The meeting also featured the issues related to the global financial and economic crisis that Belarus and Russia now have to deal with. Alexander Lukashenko expressed hope that the meeting will be fruitful. “I think this meeting in Minsk will be efficient as always,” the Belarusian leader underlined. One of the crucial problems is Russia’s fulfillment of tasks that were adopted at the session of the Supreme State Council of the Belarus-Russia Union State in February. Unfortunately, the implementation of the agreements is delayed, and Minsk is not to blame for that. It is not without difficulties that Belarusian goods enter the Russian market despite the common economic area and powerful industrial cooperation. Prime Minister of the Russian Federation Vladimir Putin expressed hope that despite the global crisis the bilateral trade will keep improving. “We have achieved a lot in the economic area. We managed to contain the fall of the bilateral trade despite the global crisis,” Vladimir Putin said. Over the three months in 2009, the Belarus-Russia trade fell down to $4.8 billion. The Belarusian export dropped 47.4% to $1.4 billion. Belarus now exports 691 commodity items out of 728 that were exported in Q1 2008. The drop in the Belarusian export was reported in 71 out of 81 regions of the Russian Federation. A number of major imports ceased, too. “Today at the session of the Union State Council of Ministers we will consider additional measures to halt the downward movement and help the bilateral trade take an upturn,” the Russian Premier said. The Russian head of government congratulated Alexander Lukashenko on the election of Belarus the venue for the Ice Hockey World Championship 2014. “Despite all the crisis-related issues, this event signals that it is absolutely possible to overcome all the difficulties,” Vladimir Putin said. He also mentioned Belarus’ intention to take part in the construction of one of Olympic facilities in Sochi. The Republic of Belarus and the Kingdom of Spain will sign an intergovernmental agreement on recuperation of Belarusian children on June 1. The document will be signed at the Department for Humanitarian Activity of the Property Management Directorate of the President of Belarus, BelTA learnt from the Directorate. The document will be signed by Director of the Department for Humanitarian Activity Alexander Kolyada and Counselor of the Embassy of Spain in Russia and Belarus on concurrent Atienza Serna. The recuperation of Belarusian children is a priority avenue of the humanitarian cooperation of Belarus and Spain. In 1993-2008, over 71,000 Belarusian children have been to Spain on recuperation trips, including 2,300 in 2008 (6% of all the children that have been treated abroad). The recuperation projects are run by eight Belarusian and 60 Spanish organizations, all these programmes are available only during summer holidays. Beginning 2004, Belarus has received Spanish humanitarian aid worth over $2.4 million, including $0.9 worth of goods and $1.5 million cash. In 2008, Spanish charity organization Anida and Belarusian public organizations Children in Need and Ulyana have implemented a project in Belarus providing recuperation of 32 children suffering from diabetes and cancer. The project was estimated at Br34.5 million. Thirty Belarusian children have received surgeries during the Children’s Heart charitable act that started on May 18 and lasted two week. Six most complicated surgeries were performed by Dr. William M. Novick, Founder and Medical Director of the International Children's Heart Foundation (US), BelTA learnt from head of the Belarusian Children’s Fund Alexander Truhan. This time US medical professionals held two seminars for Belarusian specialists from the Cardiology National Research Centre. Beginning 1996, William Novick and his international medical team has been coming to Belarus upon the invitation of the Belarusian Children’s Fund and the Health Ministry of Belarus. Dr. Novick has examined and operated Belarusian children with most complicated heart and vascular diseases. Belarusian specialists have also been working in the team led by Dr. Novick for two years already. They helped children in China, Ukraine and Pakistan. In general, the programme of the fund is aimed to lower children’s mortality rate and improve the life quality of children suffering from congenital heart defects. The US cardiac surgeons are to come back to Belarus in October 2009. Belarusian medical specialists are planning to carry out heart-lung transplantation in 2010, Belarusian Health Minister Vasily Zharko told BelTA. The minister did not specify whether the donors will be related or unrelated, but he assured that a donor will definitely be found. At present, Belarusian surgeons perform transplantations of kidney, bone marrow, liver, heart, skin and some other organs. The transplantations of pancreas, intestine, and combined transplant surgeries have not been performed in Belarus yet. 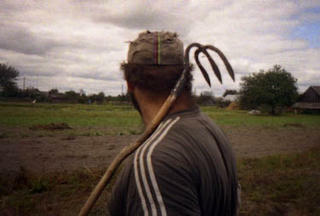 In 2006- Q1 2009, the Belarusian transplantology has experienced a real breakthrough. Beginning 2009, the Belarusian surgeons have transplanted 43 kidneys, 13 livers, 3 hearts and have carried out 60 BMTs. The House of Representatives of the National Assembly of Belarus ratified an agreement on cooperation between the CIS member-states in combating rising incidence of diabetes, BelTA has learnt. The agreement intends to coordinate the efforts of the CIS countries in improving the efficiency of medical assistance to people with diabetes. Vasily Zharko informed that the agreement was signed at the CIS Summit in Kishinev on November 14, 2008. The sides agreed to strengthen the measures on early diagnostics and prevention of diabetes, to promote the projects on research of psychological aspects of the disease, develop jointly new methods of prevention and treatment of this disease. According to the agreement, the CIS countries will provide emergency aid to people with diabetes without requiring the compensation for the expense. Belarusian-Latvian-Lithuania emergency response exercises will be held in the Miory and Polotsk regions of the Vitebsk oblast on June 23-24, BelTA learnt from Vasily Chekan, chief of the Vitebsk oblast emergencies department. He is attending the international session of representatives of the Emergencies Ministries of the three countries. The exercise will be held within the framework of the international technical aid project “Strengthening Regional Capabilities for Prevention and Response to Chemical Emergencies with Threat of Transboundary Effects in the Region Belarus-Latvia-Lithuania”. 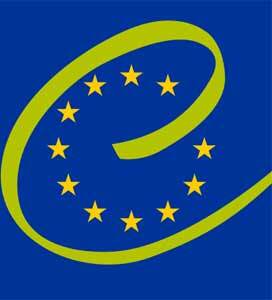 The European Union has allocated more than ?1 million for the project. The exercise is based on a fictitious oil spill as a result of the rupture of a pipeline. Emergencies services of Belarus, Lithuania and Latvia will carry our a set of measures which are mandatory in such situations and will evaluate the level of coordination. 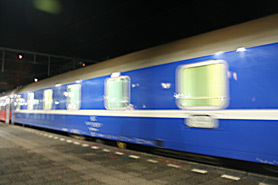 Special-purpose equipment will be engaged in the exercise. This will help to demonstrate the capabilities of rescue services of the three countries to a fuller extent, Vasily Chekan said. The CIS Special Services seek unity in ensuring international security, Chairman of the State Security Committee of Belarus Vadim Zaitsev said at an opening ceremony of the 26th session of the Council of Heads of the Security and Special Services of the CIS member states. “The Council is a unique platform to discuss, in the atmosphere of trust, common issues and problems. The Council demonstrates aspiration of the CIS Special Services for unity of action in providing international security,” Vadim Zaitsev said. The session will highlight corruption issues and functioning of the financial and credit systems of the CIS countries during the global financial crisis. The session will consider possibilities to enhance the efficiency of cooperation in combating international terrorism and other manifestations of extremism, improve the activity of the CIS Counter-Terrorism Centre. The CIS Council of the Heads of Security Agencies and Special Services was founded in 1997. Its major goal is to secure efficient collaboration in combating international organized crime. For the time being the Council has worked out and considered over 60 draft documents including those on cooperation, exchange of information, elaboration of recommendations and proposals of joint national and collective security in the CIS. The Council has developed the most important documents in the area of joint counteraction to international terrorism. The tickets for the 18th international arts festival Slavonic Bazaar in Vitebsk will be available beginning May 29, BelTA learnt from the cultural centre Vitebsk. The summer amphitheatre will host 18 concerts that are expected to be visited by about 100,000 people. The stars that will perform at the Slavonic Bazaar include Lara Fabian, Sarah Connor, Raimond Pauls, Dolph Lundgren, Valery Leontiev, Sofia Rotaru, Valery Meladze, Nikolai Baskov, Boris Moiseev, Roza Rymbaeva, Belaruskie Pesnyary, Anatoly Yarmolenko and Syabry, Yadviga Poplavskaya and Alexander Tikhanovich, Nadezhda Kadysheva and Zolotoe Koltso. Belarus, Ukraine, Russia and Moscow will present their own programmes at the festival. The cost of the tickets range for Br10,000 to Br350,000. Tickets are also available online. The 18th international festival of arts “Slavonic Bazaar in Vitebsk” will be held on July 10-16. An opening gala concert is scheduled for July 10. The first concert will be given by Valery Leontiev on July 9 at 22h00. The festival’s last performance dubbed as Radio Chanson Concert will take place on July 17. The 9th international children’s festival Golden Bee will take place in Klimovichi, the Mogilev oblast, on May 28-31, BelTA learnt from the cultural department of the Mogilev oblast executive committee. The festival is traditionally held ahead of the International Children’s Day. Partaking in the festival are singers and creative companies from eleven countries: Belarus, Russia, Kyrgyzstan, Moldova, Romania, Kazakhstan, Ukraine, Poland, Latvia, Turkey, Bulgaria. The forum will convene more than 1,000 participants. The jury will include representatives from Moldova, Ukraine, Russia, Belarus and Turkey. The festival will consist of various contests including asphalt and easel painting, a contest on the best sweet product Sweet Fantasies, different exhibitions/fairs and a Holiday Kaleidoscope concert. Special entertainment programmes will include a cultural and recuperation project The World of Honey and Health, fireworks, etc. A holiday march under the motto “We are the World, We are the World’s Children” will take place on May 31 and will end up with an awarding ceremony and a gala-concert. The founders of the festival are the Mogilev oblast executive committee and the Klimovichi regional executive committee. The ratio of the national debt to the GDP in Belarus is lowest among the CIS states, Belarus Deputy Prime Minister Andrei Kobyakov told reporters on May 29. “The ratio of Belarus’ national debt to the GDP makes 14% and is lowest among the CIS states. This is why I wouldn’t make a drama about foreign borrowings of our country,” said the Vice Premier. He added that in conditions of the global financial and economic crisis many countries of the world use external borrowing and Belarus is not an exception. It is necessary to level the balance of payments. Speaking about results of the Union State Council of Ministers session held in Minsk the previous day, Andrei Kobyakov remarked that the restoration of export to Russia had been discussed. Several problems were resolved while others need more consultations. The Deputy Prime Minister also added, the provision of the $500 million Russian loan to Belarus will be resolved soon. “Most likely, the Russian Finance Minister is unwilling to give money because there are more pressing problems,” he said. The Svetlogorsk-based manufacturing corporation Khimvolokno will present new-generation bonded fabrics at the XIII international expo of technical textiles, bonded fabrics and protective clothes Techtextil 2009 in German Frankfurt am Main on June 16-18, BelTA learnt from Tatiana Gorina, Head of Khimvolokno’s Marketing Department. The fabrics are made using hydro and thermospray bonding of continuous polypropylene filaments. The new materials are widely used to manufacture disposable medical and hygienic goods, in automobile manufacturing and other areas. The utilisation of dressings made of these materials as well as medical personnel clothes, linen for fatal cases drastically reduces the level of hospital-acquired infections in surgery, trauma and obstetric departments. The company plans to start mass manufacturing of hydrospray-bound nonwoven fabrics late in Q3 2009 when a relevant investment project is complete. “There is little time left before the launch, this is why we are preparing markets for the new products,” remarked Tatiana Gorina. At the expo Svetlogorsk Khimvolokno plans to hold negotiations with more than ten major Western Europe companies. “Some representatives will arrive in Frankfurt am Main specifically to meet with our delegation,” said the source. The sides are expected to discuss supplies of hydrospray-bound nonwoven fabrics and other products. Svetlogorsk Khimvolokno’s stand will feature nonwoven fabric SpanBel made using the SpunBound technology, heat-resistant fibres, filaments and fabrics Arselon, carbon-fibre materials Ural. Founded in 1964, Svetlogorsk Khimvolokno is a major Belarusian petrochemical company. It comprises enterprises for manufacturing polyether filaments, man-made fibres, carbon and polymer materials as well as consumer goods. The company exports the make to 38 countries. Belarus and the International Bank for Reconstruction and Development that is part of the World Bank Group will soon sign an agreement to give Belarus a $125 million loan for financing the project “Energy effectiveness enhancement”, BelTA learnt from Chairman of the State Standardization Committee of Belarus Valery Koreshkov. The World Bank is to send an official notification and a letter of invitation to Belarus after which the agreement might be signed. The World Bank Board of Executive Directors has authorised giving a $125 million loan to Belarus for financing the $193.1 million project “Energy effectiveness enhancement”. “It is the first WB project in Belarus of such a large scale, the loan is granted on favourable terms. Earlier we implemented joint projects in energy saving and social areas. The new project is designed not only to raise energy efficiency, but also to upgrade energy production facilities,” Valery Koreshkov said. The funds will be allocated to six major objects. The main goal of the project is converting existing heating boilers into cogeneration plants in several towns of Belarus. With modern gas turbine plants and gas engines in place, the conversion will provide around 90MW of additional electric power. The effectiveness of heating energy and electricity generation at these installations is supposed to grow by 30%. Preliminary estimations indicate that every year around 90 million cubic metres of natural gas will be saved, with CO2 emission down by 165,000 tonnes per annum. The project will be implemented by Belinvestenergosberezhenie subordinate to the energy efficiency department of the State Standardization Committee of Belarus which is responsible for the national energy saving programme. The World Bank loan is supposed to be paid out within 16 years, with the payment of the loan principal delayed by six years. The implementation of the project will begin in 2009 and will take five years. Belarus joined the World Bank in 1992. To date, the World Bank’s lending to Belarus has totaled $443 million. Russia and Belarus failed to agree Thursday on the last $500 million installment of a $2 billion Russian loan that aimed to help its struggling neighbor avoid bankruptcy, Russia's finance minister said. Russian Finance Minister Alexei Kudrin said his country offered to provide the final installment in Russian rubles instead of dollars but Belarus refused. Kudrin, who accompanied Russian Prime Minister Vladimir Putin on a trip to the Belarusian capital, blasted Belarus's planned economy and the stiff control of its currency as a "meaningless policy." He also described Belarus as taking a "parasitic" attitude to Russia. The unusually blunt criticism reflected a growing tensions between the two neighbors and allies, which have been increasingly divided by economic and political arguments. Kudrin told reporters that Belarus — which spent $2 billion to prop up its national currency in the first quarter of 2009 — will run out of hard currency reserves by the end of the third quarter if it keeps up that level of spending. "We may see insolvency of the Belarusian government and the Belarusian economy as a whole due to the hard currency shortage at the end of this year or next year," he said. Despite the failure to reach agreement on the loan, Putin said after the talks that Russia will consider providing credits to Belarus in the future. "Whatever happens in the world economy, Russia will always give its shoulder to Belarus when necessary," he said at a news conference. Russia and Belarus have an accord envisaging close political, economic and military ties, and they declared a joint goal of building a single state. Moscow has been the main ally and sponsor of Belarusian President Alexander Lukashenko, who has been described by many in the West as "Europe's last dictator" for his relentless crackdown on the opposition and free media. But the Kremlin has been increasingly vexed by Lukashenko's staunch resistance to Russian attempts to take control of key Belarusian industrial assets. "Belarus is sliding toward default, and the Kremlin could use that to control Lukashenko," said Leonid Zaiko, a Minsk-based independent political analyst. Moscow also expected Belarus to quickly follow its example in recognizing Georgia's breakaway provinces of South Ossetia and Abkhazia as independent nations, which Russia did in the wake of the Russian-Georgian war last August. The Belarusian parliament, however, has not taken up the issue. Kudrin denied that the disagreement on the final loan installment to Belarus had been rooted in Belarus' refusal to recognize the independence of two Georgian regions. "I have never raised this issue with any Belarusian official," he said. Adding to Moscow's dismay, Lukashenko has sought recently to improve ties with the United States and the European Union, releasing political prisoners and making other overtures. Russia has accused the West of trying to encroach on what it sees as its traditional sphere of influence. According to RZD-Partner referring to Belarus sources quoted Mr Vladimir Yakunin the president of the Russian Railways told at a press conference in Minsk that RZD may participate in privatizing Belarus Railways. Mr Yakunin said it is quite possible that we will participate in the privatisation. I think that Belarus Railways may have a desire to own a package of Russian Railways shares, too. One way or another Belarus and we are elements of the same transport corridor. Whether Russian Railways is a co owner of the Belarus Railways infrastructure or not we are destined to working out a single tariff and technological policy together. Speaking about the prospects of cooperation of the two railway authorities, Mr Vladimir Yakunin added that the time when the railways of Belarus and Russia will arrange the circulation of new trains with automatically adjusted track gauge to and from Europe may come soon. The possible Belarusian recognition of Abkhazia and South Ossetia is the question of Belarusian relationships with the Caucasian republics, President Alexander Lukashenko said on Friday. “In fact, this is not the question of Russia either. The possible recognition of South Ossetia and Abkhazia is our question and the question of these republics, with which we maintain very good contacts. They know our tactics,” the president said at the socioeconomic conference in Minsk. “I answered the question long ago, and no one in the East or in the West can put pressure on us,” he said. Belarus must develop its economy as a sovereign and independent nation, he said. “We have many possibilities to influence the situation and to deter the challenges created, in particular, in Russia. Let us use these possibilities. 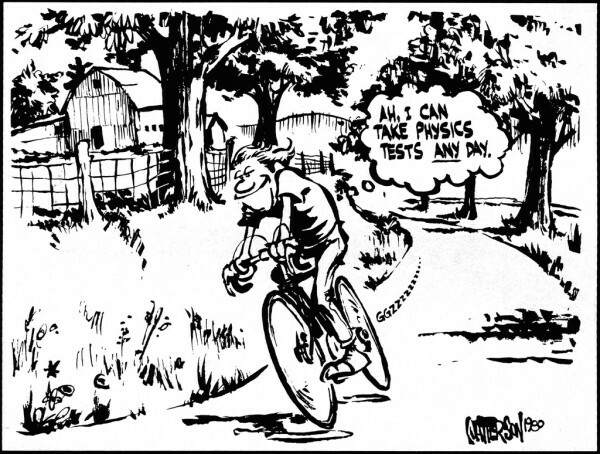 When will you start thinking as officials of an independent country should think?” he wondered. “This is a big game. If we withstand [the challenges], there will be the state. If not, we will be trampled upon and we will have to beg for a chunk of bread. We represent ten million talented and diligent people, and we must never let them down or deceive,” the president said. The Political Committee of the Parliamentary Assembly of the Council of Europe (PACE) has recommended restoring the "special guest" status for Belarus, RFE/RL's Belarus Service reports. A final decision on the issue will be made at PACE's next meeting in Paris in June. PACE's special guest status was given to Belarus in 1993 but was withdrawn in 1996 after President Alyaksandr Lukashenka held a referendum that increased presidential powers that PACE deemed undemocratic. The special guest status will allow Belarusian parliamentarians to take part in some PACE activities. Vintsuk Vyachorka, deputy leader of the opposition Popular Front of Belarus, told RFE/RL that the decision to restore special guest status to Minsk is a mistake and contradicts the basic principles of the Council of Europe. He said the Belarusian leadership should first have to prove its readiness by adhering to PACE criteria. On 28 May the co-founders of the Nasha Viasna human rights association received a letter from the Ministry of Justice saying the NGO is once again denied registration. The human rights activists think the decision groundless and illegal. The Ministry of Justice also accuses Nasha Viasna of ‘obstructing’ the registration body’s inspection of the accuracy of the application documents. ‘This time the Ministry of Justice in its letter named the grounds, which we simply cannot comment upon, for we do not understand, what they mean. E.g. 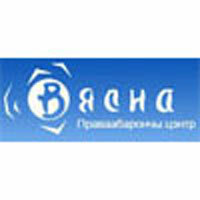 it is difficult to comment on the statement ‘the second part of the association’s name ‘Nasha Viasna’ does not correspond to the Charter of the organization.’ I can say that all the remarks made by the Ministry of Justice are not warranted by the law of the Republic of Belarus ‘On public associations’ and therefore cannot result in a refusal to register the association,’ says one of the co-founders of Nasha Viasna Valiantsin Stefanovich. It should be especially stressed that it is the third time the Ministry of Justice mentions civil and criminal prosecution of the association’s co-founders as one of the grounds for the refusal. ‘The decision of 2007 mentioned this fact, so did the recent refusal – now it states the exactly same. Meanwhile, the court has twice rejected the fact as a legal reason for the refusal to register Nasha Viasna, since the law does not provide for the reasons. So why do they keep doing it? I think that there can be only one reason for that – discrediting human rights activists in the eyes of Belarusian citizens,’ says Mr.Stefanovich. The human rights activists consider the refusal a politically-motivated decision. ‘It is obvious that all the grounds and circumstances, stated by the Ministry of Justice, are so cooked up. They are absolutely trivial and based on conjectures, as in the case with the organization’s name, which had never been mentioned before. It is absolutely obvious that the registration body makes its best to deprive such human rights organization as Nasha Viasna of its legal status within Belarus. So, it is a pure political business, a politically-motivated decision,’ says Nasha Viasna’s representative Uladzimir Labkovich. The organization’s head Ales Bialiatski is of the same opinion, saying that refusals to register human rights NGOs are an evidence of the actual situation with human rights in the country. ‘The reasons for the refusal are absolutely unclear to me, since all the charges of the Ministry of Justice have nothing to do with reality and look like a badly-designed delirium. Considering such utmost formality following the decision, political motives seem absolutely transparent. The repeated refusals to register the human right association over the past three years are a sign of discrimination of the citizens of Belarus and restriction of their right to the freedom of association. The authorities’ unwillingness to register newly-founded human rights organizations means that the country is very far from improving the situation with democracy and human rights. Despite the refusal, we, human rights activists, are going to continue our activities’, says Ales Bialiatski. The human rights activists are going to appeal the decision at the Supreme Court of Belarus. They will also submit a complaint to the UN Human Rights Committee. Currency exchange offices in Minsk don’t have dollars to sell even in the morning. The National Bank has recommended commercial banks to provide cash replenishment. So, according to the press secretary of the National Bank Anatoly Drazdou, the National Bank tries to prevent panic at the currency exchange market, “Salidarnasts” writes. What has caused a wave of rumours having led to sharp rise in demand on foreign currency? Queues to buy foreign currency can be seen at foreign exchange offices and banks. Buying dollars and euros is often connected with problems –sometimes people have to wait a long time unless someone sells currency to a bank. “The National Bank has sent a letter to banks recommending replenishing cash in order to prevent panic at the market of foreign exchange cash,” Anatoly Drazdou said emphasizing that the National Bank didn’t impose and didn’t plan to impose any restrictions at the foreign exchange cash market. Drazdou stated that a tendency of supply of foreign currency from individuals that could be seen during last two months has changed to demand for foreign currency. “Individuals have begun buying foreign currency, so the demand exceeds supply at the market now. Certain banks are not prepared for foreign currency demand growth and this explains cases of deficit of foreign cash in foreign exchange offices,” A. Drazdou said. So, “foreign currency deficit has been caused by sluggishness of certain banks,” he concluded. It can be supposed that sluggishness of banks is not the only reason for the turmoil. Two weeks ago, when, as Drazdou states, the demand exceeded the supply, there appeared information about a secret order of the National Bank recommending the commercial banks not to sell currency to Belarusian importers. Though Anatoly Drazdou told on May 18 “the National Bank didn’t issue any orders restricting foreign currency selling at exchange market and at kerb market”, non-cash foreign exchange remained paralyzed for three days, experts say. It’s still difficult to find foreign currency in exchange offices in Minsk. For example, a queue was standing to an exchange office on Victory square at 8.15 a.m., “Komsomolskaya Pravda v Belarusi” writes. – I’m looking for foreign cash around the city, I need cash to conclude a contract, – a young man in a suit carrying a briefcase said. – I have to spend so much time! – Do they have any cash? We are probably standing in vain, – impatient clients are worrying. – They will have, – one of them says. – I sell cash. A queue to an exchange office on Yakub Kolas square wasn’t shorter, but the office didn’t have any cash at all. Departments of the biggest Belarusian banks situated on Independence Avenue and an exchange office near the Art Palace have no currency, too. – Visit us tomorrow, we’ll sell you even 1500, – they said. But the situation didn’t improve on Thursday. Three banks didn’t have dollars to sell. A bank in Platonau Street was able to sell only 200 dollars, and an exchange office near the Central Store Department found only 500 dollars at 11.00 a.m. The Arctic region may hold enough natural gas to meet current global demand for 14 years and most of it belongs to Russia, which could “accentuate” the country’s dominant role in the industry, U.S. geologists said. The Arctic probably holds 30 percent of the world’s undiscovered gas and about 13 percent of the oil, a group led by Donald Gautier of the U.S. Geological Survey said in a paper published in the latest edition of Science magazine. The study was billed as the first detailed estimate of the region’s natural-resource wealth. “These findings suggest that the future preeminence of Russian strategic control of gas resources is likely to be accentuated and extended,” Gautier said from in Menlo Park, California, in an audio file posted on Science’s Web site. Moscow-based OAO Gazprom, supplier of a quarter of Europe’s gas, and Royal Dutch Shell Plc are among the energy companies seeking deposits above the Arctic Circle as melting ice retreats and access to deposits in more hospitable climates becomes more constrained. Russia dispatched a mini-submarine to plant a titanium flag on the seabed under the polar cap in 2007, challenging a United Nations convention that limits resource claims to within 200 miles (321 kilometers) from shore and sparking protests from Canada, the U.S., Norway and Denmark, which all have territory above the Arctic Circle. The median estimate of gas deposits detailed by the U.S. scientists could add 1,547 trillion cubic feet (44 trillion cubic meters) to the world’s proved reserves, compared with annual consumption of about 110 trillion cubic feet. There’s a 5 percent chance that the Arctic holds 2,990 trillion cubic feet, according to the study. The region may hold 83 billion barrels of crude oil, sufficient to meet global demand for almost three years, the geologists said. That’s probably not enough, though to shift the pattern of oil production, according to the study. Finding and developing offshore oil deposits would yield economic gains for Arctic nations and “could mean the difference between whether Greenland becomes independent from Denmark or not,” Gautier said in the study. Greenland voted “yes” in a referendum last November that established almost full control of its natural resources, increasing the island’s independence from former colonial ruler Denmark. Gautier said that estimates of Arctic resources will change as new data become available. The Russian space agency says it has signed a $306 million deal with NASA to ferry its astronauts to the international space station in 2012. Roscosmos said Friday the agreement covers four launches aboard the three-person Soyuz capsules to swap out crews in the orbiting laboratory. NASA said Russia would supply comprehensive support for six NASA crew members taking part in long-duration missions. The pact extends Russia's existing contract with NASA for transporting station crew, but seems to represent an increase in Russia's transport charges. Space tourist Charles Simonyi said he paid about $35 million for his Soyuz flight to the station in April. Ukraine's President Viktor Yushchenko has again called for a revision of a hard-won natural gas deal with Russia, according to an interview published Friday, raising fears of another dispute over prices. Ukraine's demands come as concerns grow of a repeat of January's standoff between the two neighbors - which saw Russia cut off supplies, affecting large parts of Europe. In an interview with the Russian daily Nezavisimaya Gazeta, Yushchenko said that the January accord was bad for Ukraine. He lamented that gas prices were raised substantially, while the fee Ukraine gets for transporting Russian gas to European consumers remained unchanged. He said that fee should be increased. "I insist on two principles ... equality and parity," Yushchenko was quoted as saying. 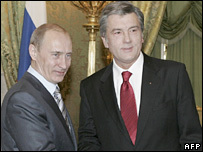 Yushchenko has repeatedly criticized the contract, signed by his rival Prime Minister Yulia Tymoshenko. Russian officials have indicated that the deal will not be revised beyond minor adjustments. Moscow has voiced concern that Ukraine will be unable to pay its gas bill for May, a situation officials say could lead to a repeat of the disruption that left millions of Europeans without heating gas for two weeks. Russian officials have urged the European Union to join Moscow in loaning Ukraine money to pay the bill. Russian and EU officials will discuss gas supplies to Ukraine at a meeting in Brussels next week. A Polish yacht with a crew of six has sunk in the Baltic on the eastern side of Mon Island, though nobody on board has been hurt. The vessel aired SOS signals after water leaking into the hull could not be stopped. Responding to the call, the Danish sea rescue service sent a helicopter and patrol boat from nearby Klintholm to the scene of the accident. Two freight ships sailing in the region also offered help. Three crew members of the Polish yacht were picked up by the helicopter team, while the remaining three were taken on board the patrol unit. The Polish survivors are reported to be in good condition. The yacht is said to be sunk at a depth of 20 meters. As-yet unidentified thieves successfully robbed a bank in Warsaw’s Mokotow district. Spokesperson from Warsaw Police Headquarters announced that two masked and armed men entered the bank at 10:00 on Thursday and demanded all the cash the bank had on hand. There were two employees and one client in the bank at the time and none were injured. The employees handed over an unknown sum of cash. Currently, police are investigating the crime scene and searching for the robbers. Insulin producer Bioton has officially informed the Labor Office of a plan to carry out mass lay offs from its current workforce of 635. The firm intends to reduce the number of staff by 170 employees with the first redundancies to begin in June. "The reductions are the effect of the deteriorating economic situation and the necessity of limiting costs. The firm has to liquidate some jobs," reads Bioton's announcement to the Labor Office. The firm did not provide the anticipated savings it expects to make from the planned move, but analysts are surprised with the scale of redundancies nonetheless. "I believe that the firm will incur costs of zl.25 million due to the restructuring of the Polish unit, including the costs of severance packages for employees," said Pawe? Burzylski, an analyst with DM BZ WBK. However, according to his calculations the optimization of Bioton's employment level will enable the company to boost its operational result by some zl.11 million in 2010. Aliaksandr Hleb looks set to push for a transfer this summer after he had to be talked out of leaving the Barcelona camp and returning home before the Champions League final, according to a report. The Belarus international was stunned when he was omitted from the Blaugrana squad completely and instead saw Marc Muniesa and Pedro called up instead. After struggling to adapt to the Spanish game, the city and the language, Hleb was deciding whether or not he would try spending another season trying to fit in, but he has now decided not to. Sport state that when coach Pep Guardiola announced the starting team and the substitutes and Hleb was not involved, he wanted to drive back to Barcelona there and then. So angry was the former Arsenal star that 17-year-old Muniesa and young Pedro were ahead of him in the reckoning that he was prepared to miss out on the final completely. After being talked around by various staff members and players, Hleb did go on to the pitch at the end, but did not join in totally with the celebrations and stayed out of the limelight. With Bayern Munich mooting a move for him in the summer, the 28-year-old is now reported to want to seek a change and will talk to Barcelona in the next few days. The Belarusian dictator made a number of harsh statements blaming Putin for failure to perform “union” agreements and ordered officials to stop “begging help from Russia”. On May 29, a day after a meeting with Russian prime minister Vladimir Putin, Lukashenka held a session on actual issues of the social and economic development of the country, Interfax reports. The Belarusian ruler gave special instructions to prime minister Syarhei Sidorski and head of the National Bank of BelarusPyotr Prakapovich. “I warn you, Mr Syarhei (Sidorski). You come and tell how it is bad in Russia, they have no progress, and make me ask Putin why Russia doesn’t hear us. This time has passed. If you can’t gain success in Russia, stop bowing to them, stop begging and crying. We’ll look for happiness in another part of the planet. I consciously state it in public,” Lukashenka said. “If their economy is that good, where did the 10% GDP decline come from?” Lukashenka wonders. “So, remember: o praying or begging,” Lukashenka ordered the government. “If they don’t have the $500 million that they promised a long time ago and that we included in our budget, don’t go and beg,” Alyaksandr Lukashenka remarked.